This Thanksgiving I created a center piece that the whole family can enjoy. 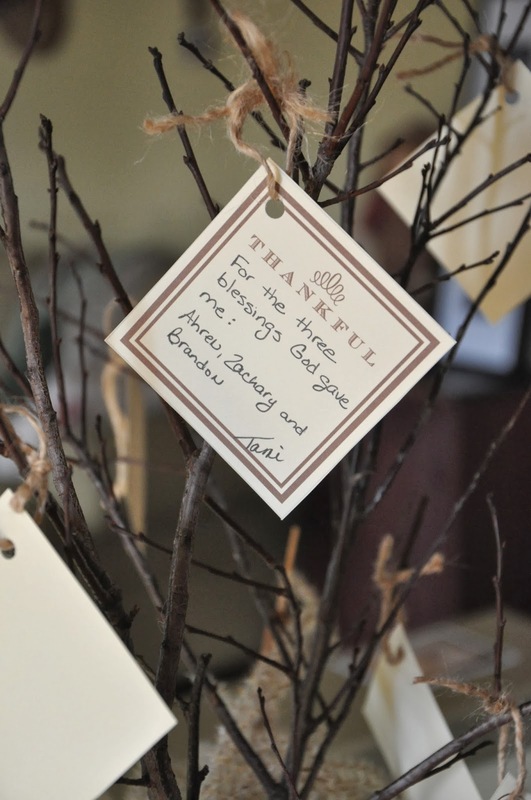 The tree has 'Thankful' cards hanging from the branches. 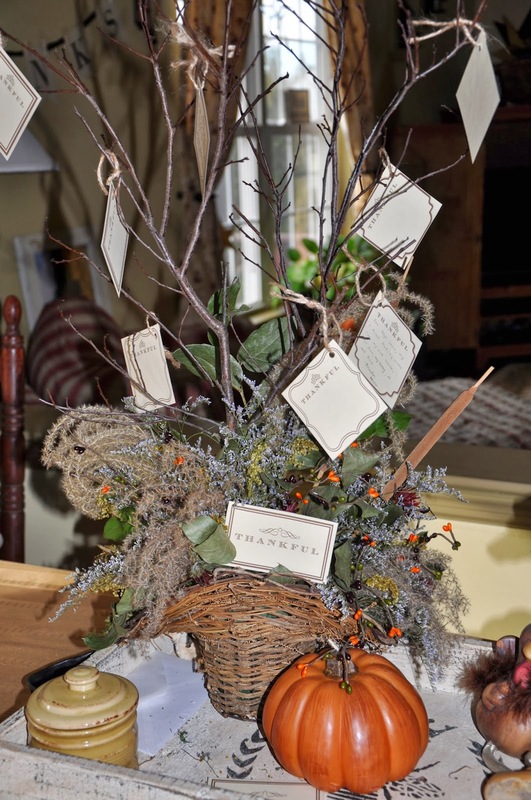 Each family member will fill out a card sharing what they are thankful for. The card isn't big enough to write everything I am thankful for. 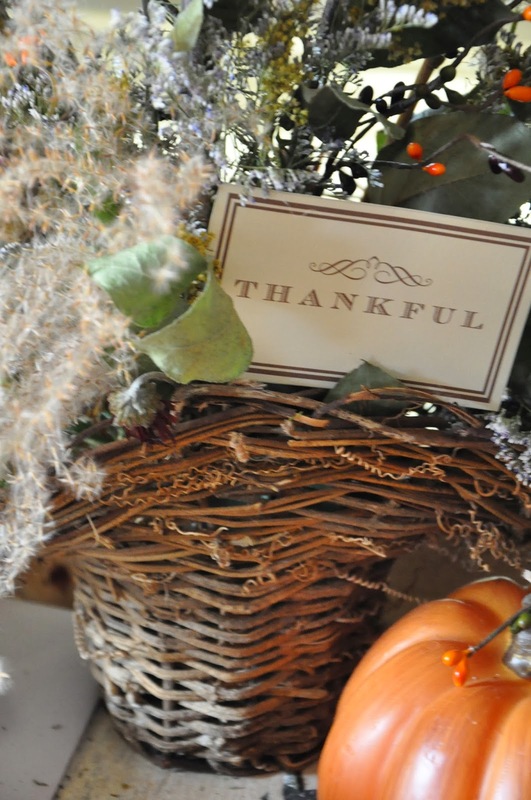 Please know, dear blogger friends, I am thankful for you! my kids did a turkey craft this year.....and each of the tail feathers was a Thankful comment. Thank you! Happy Thanksgiving to you and your family! Awe, thanks Jenn. Happy Thanksgiving! Thank you Debbi. Have a fabulous thanksgiving with your family!